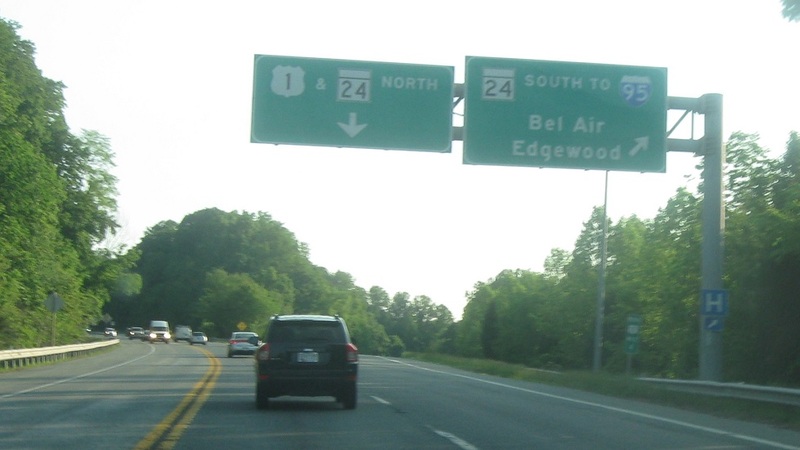 No reassurance shield as we move onto the bypass of Bel Air. Just after that, we’ll approach MD 24. 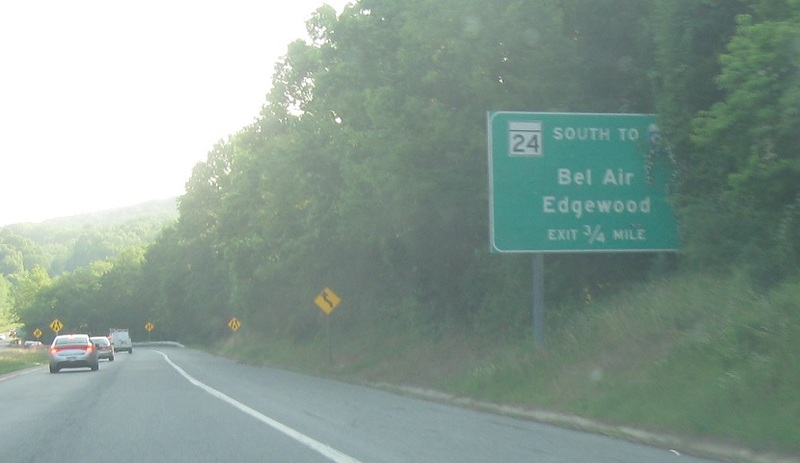 Exit in a quarter mile for 24 south to I-95. 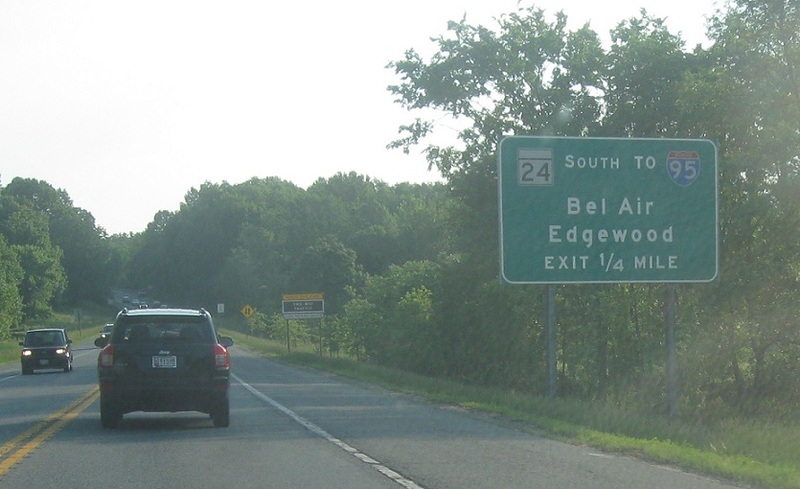 Exit for MD 24 south. 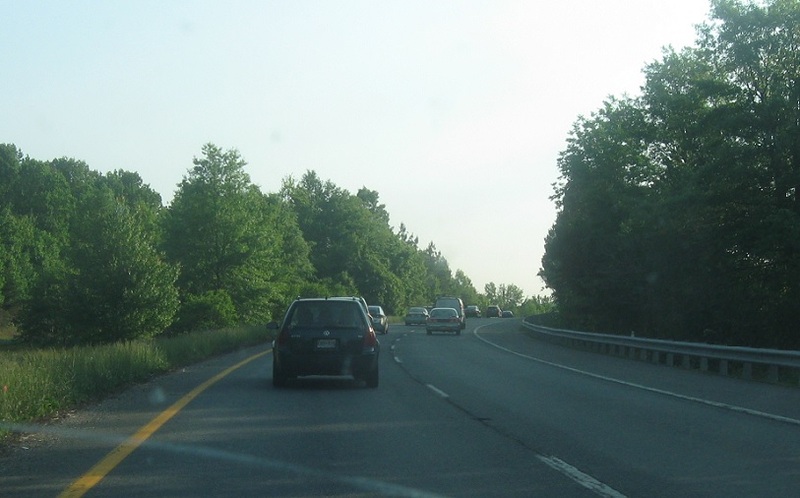 MD 24 north briefly joins US 1.